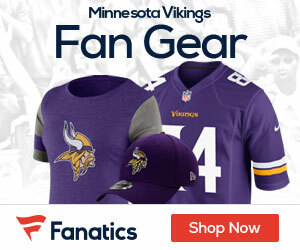 When Brett Favre’s appearance on The Tonight Show aired in the local market, the Vikings bought two commercial spots that conveyed an interesting message to the fans. “Last season, we knocked on the door. Next season, we’re kicking it down.” Nice!